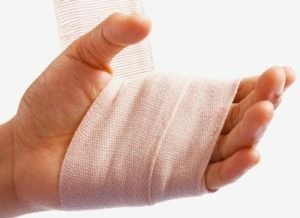 A work injury lawyer is one you run to when you have complications with your benefits after a workplace injury. A lawyer is the best route to gaining proper recovery financially. When you think your employer or the insurance company or business partners are exploiting your financial benefits, it might just be the right time to let an attorney help you. Rawa Law Group is a renowned law firm in El Monte, CA that provides stellar legal services to the residents. Rawa Law Group pays detailed attention to the scope of the law of the land and ensures that clients are fully represented legally. With more than 55 years of combined legal experience, we can boldly say we have some of the finest injury attorneys here in California. Our attorneys are highly attentive and will walk with you through your case keeping you informed about everything. We will also give you some useful legal advice to help you avoid any complications during your case. We also work with clients at suitable times that means our appointment hours are flexible. In severe injury cases, we let our attorneys visit clients’ homes or hospital of treatment. One of the biggest advantages of our service is the free case evaluation. We would investigate your case and get in touch with your employer and insurance company without charging you a dime. We only collect our payment after winning the case. Rawa Law Group is a prudent choice if you want to hire a qualified work injury attorney in El Monte, CA.